China’s consumer growth create huge opportunities ! China’s economy growth create huge opportunities ! These last years, the economy’s growth has increased in China. A new kind of consumers has been born from this trend with different expectations about products they purchase. Actually, the China’s economy will be driven by upper-middle class with annual from 24.000 to 46 000 dollars and affluent households with over 46 000 dollars per year. Even if the China’s economy is slowing down, consumption is still increasing and will provide 6.5 trillion of dollars by 2020. Thus, companies in China are worried about its success but the consumers market represents a huge opportunities to seize. Affluent households are part of a new upper-middle-class. They need more quality and authenticity. Consequently, companies have to tailored its strategy in order to reach satisfy them. Today, the urban households are rising of 17% per year and are expected from 30% by 2020. Moreover, they will spend further 1.5 billion of dollar by the same year. The rate of upper-middle-class and affluent households will account 55% of urban consumption. In addition, the emerging-class and the middle-class will increase of 5% by 2020. These consumers will purchase many various categories of products especially in personal-care goods and detergents. 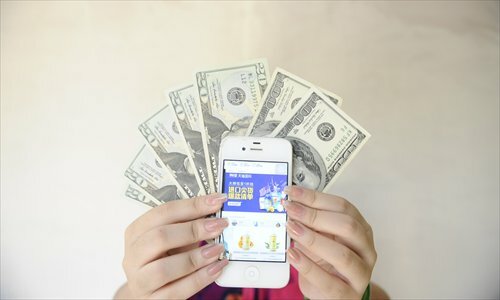 That’s why, companies have to focus their strategy towards upper-middle-class and affluent households within 430 cities in China in order to further approach these consumers. Moreover, these both categories will reach 30 million, with 10% of rising per year, in big cities such as Beijing, Shanghai and Guangzhou. Chinese consumers born between 70’s until 80’s, older than 35 years old, knew economy’s instability in China. That’s why, they tend to save money and are more reasonable regarding their spendings. These last years, new kind of consumers appeared, who were born during from 80’s to 90’s. Moreover, their consumption is growing up of 14% each year to reach 53% by 2020. In addition, young consumers are more sophisticated incluing further gradutation in college, sensitibility to their products’ brand and travelling abroad. Then, they want to purchase more quality products. Currently, they are 49% to pay attention to their purchasing brands’ popularity. They need to be connected with their brands especially regarding to beauty products which have to represent their personality. Finally, 46% of young Chinese consumers are more attracted by their home products particularly electronics, apparel and skincare brands. Chinese consumers are more and more connected. Consequently, they contribute to the China’s e-commerce growth. Today, private consumption represents 15% and will reach 24% by 2020, which mean 1.6 trillion of dollars annual. This new trend is due to the consumers’ attractivity towards smartphone. Indeed, surveys have shown online sales’ rate is of 51% in China through mobile e-commerce. This amount will be of 74% by 2020. These last years, many e-commerce platforms were born such as Taobao created by Alibaba whose sales grew up from 51% to 62% in 2015. According to the Chinese giant, this growth is involved by promotion’s authenticity offered by retailers through platforms like during the Singles Day, where sales reached further 68% on november 2015. Actually, Chinese consumers, especially the younger ones, are able to pay higher prices in order to have quality products. Then, this new generation tends to buy further local goods such as packed food or personal care products. 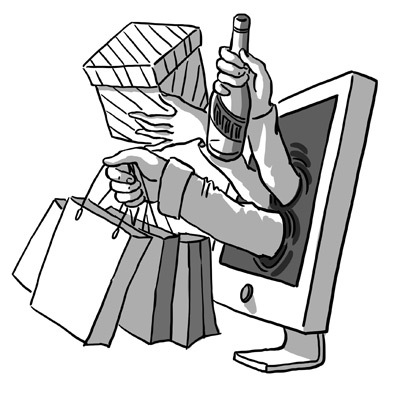 E-Commerce growth enables companies in China to penetrate the market by offering a large range of products. Actually, the most of leaders which meet huge success thanks to online sales, sell their products within real stores. This phenomenon was noticed mainly regarding skincare, fashion or baby education products. Then, Chinese consumers want to more choice in their puchasing. Today, 40% of online shoppers purchase among five range of products incluing casual wear, casual shoes, handbags, snacks and smartphones. The products’ diversity will reach 15 categories with home furnitures. Getting into the Chinese market is not so easy. Indeed, companies have to face to Chinese consumers’ behavior and tailor its strategy regarding to their expectations. Our Digital Marketing Agency helps brands to approach this market by passing through platforms e-commerce or social media. We help companies to chose the most efficient tools in order to reach a larger audience online and increase e-reputation too. Thanks to us, companies will have a good positioning on Baidu, the first search engine in China with appropriate keywords, backlinks and many other features.